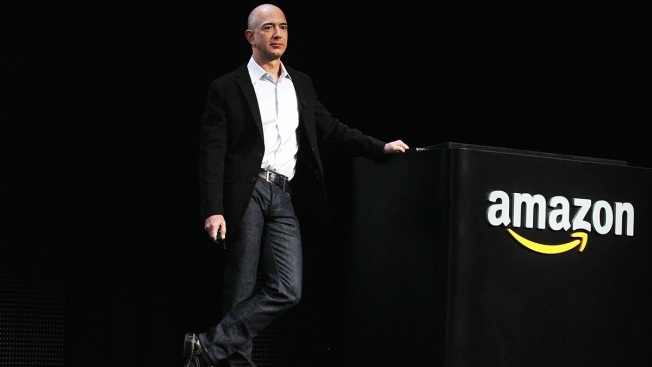 FILE - Amazon founder and CEO Jeff Bezos speaks at the Kindle Fire product launch, Sept. 28, 2011, in New York City. Amazon announced Thursday the 20 locations it will consider for its new $5 billion facility, a project estimated to add 50,000 jobs and deliver a billion-dollar boost to the winning locale’s regional economy. Most of the short-list finalists, narrowed down from an applicant pool of 238, were thought to be major contenders from the start, according to CNBC, though a few dark horse cities made the cut. The company has said it will choose the location for the project, called HQ2, sometime this year. CNBC has been compiling and analyzing data on the top 20 competitors, looking at how the city or region stacks up against Amazon’s list of criteria. No one outside of Amazon knows for certain how the company will score things, but CNBC’s data offers some insight into which finalists have the best chances.